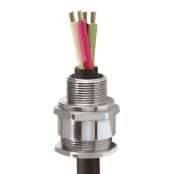 T&D distribute the most extensive range of industrial and hazardous area cable glands designed to suit all cable sealing and termination applications – contact us for competitive prices, fast delivery from stock and technical advice about CMP Products, Hawke International and Prysmian cable glands. 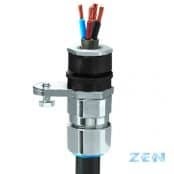 Environmental protection – the cable gland should provide environmental protection by providing outer cable sheath seal to prevent the ingress of moisture (according to IP Rating) or dusts into the electrical enclosure or junction box. 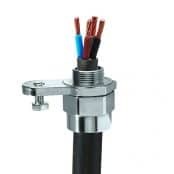 The cable glands should provide additional sealing to the section of cable entering the electrical enclosure where high levels of ingress protection are required. 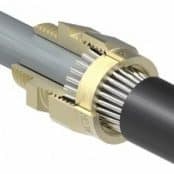 Earth Continuity – the cable gland provides armour earth continuity where cables are wire braided/armoured; the gland should withstand a minimum short circuit fault current corresponding to that of the cable armour or peak fault of the electrical power system. 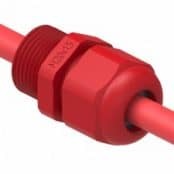 Cable Pull Out Resistance – cable glands must provide holding force on the cable to ensure adequate levels of LV MV HV cable pull out resistance preventing lateral and axial loads being applied to the internal cable conductor terminations. 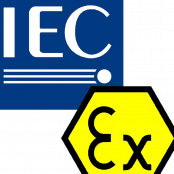 Explosive Atmospheres – cable glands for installation in hazardous areas must be specified according to the installation code or classification authority, such as ATEX or IECEx. 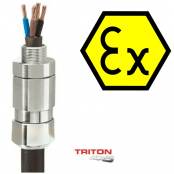 Additionally, in hazardous areas the cable gland when correctly specified according to ATEX or IECEx certifications should prevent the migration of flammable gases and control and contain any potential explosions. 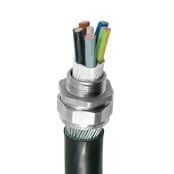 View the complete range of ATEX cable glands suitable for cable termination of all wire armoured/unarmoured, braided and lead sheath cables in onshore and offshore locations. 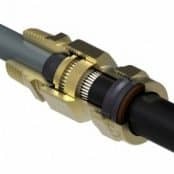 Cable glands are designed and manufactured utilising all the knowledge of the critical requirements to safely terminate cables in all types of LV MV HV cable installations. 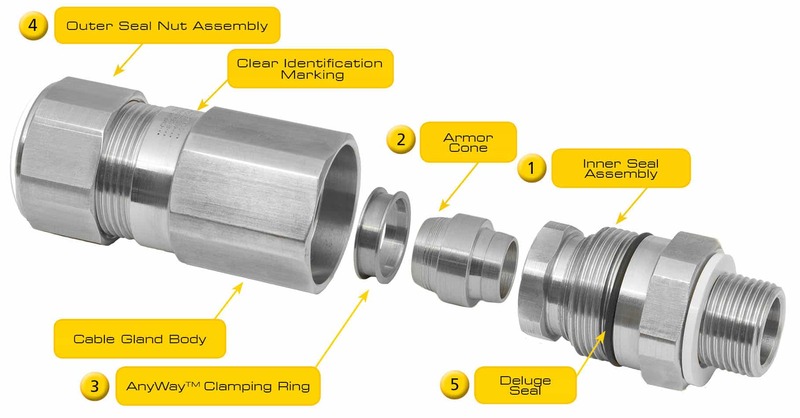 1 Compensating Displacement Seal CDS – inner cable gland seal separate from the armour clamping section prevents manual over-tightening of the gland body. Traditional compression seal cable glands are inherently prone to excess force during installation using cable gland spanners. 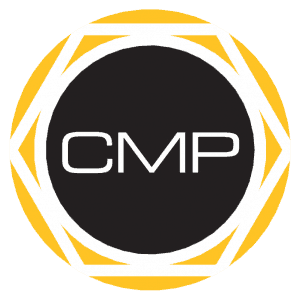 CMP unique CDS system ensures gland components are tightened “metal-to-metal” – this prevents crushing damage to cable bedding and coldflow. 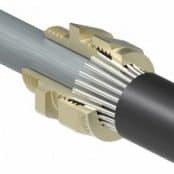 2 & 3 Effective Armoured Cable Termination – CMP glands feature a unique cable termination providing permanent crimping of armoured cables with effective and secure armour earth continuity via the 3) CMP AnyWay clamping ring. 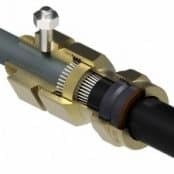 4 Outer Cable Seal – IP/NEMA rated cable gland seals are achieved around the cable sheath and armour. 5 Deluge Proof Cable Gland Sealing – preventing cable armour corrosion by ensuring moisture cannot track and penetrate around the gland threads and ingress into the armour termination body. Check Cable Specification – cable construction, insulation type, outside diameter B, voltage, armour type. Environmental – highly corrosive onshore and offshore applications requiring protective nickel plated or 316 grade stainless steel glands in the oil, gas and petrochemical industries. Concerns about toxic gas emissions in confined spaces and public buildings to maintain circuit integrity of low smoke zero halogen cables. 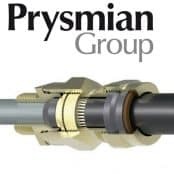 Levels of atmospheric moisture exposure impacting on the ingress protection (IP) rating requirement and need for entry thread sealing washers – specialist application high performance cable glands are available to meet the operating requirements of all industry sectors. Electrical Enclosure – eliminate dissimilar metal contact and risk of bi-metallic corrosion. 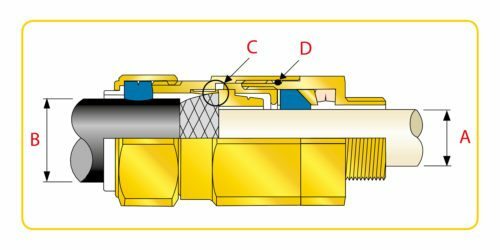 Check cable entry hole and material thickness of the gland plate to determine whether extended threads are required (thread conversion adaptors/reducers may be required). Short Circuit of LV, MV & HV Power Systems – medium and high voltage power cable systems with high fault current ratings require glands with suitable short circuit protection (CMP CIEL Cast Integral Earth Lug). 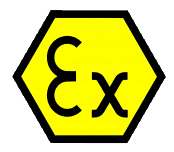 Hazardous Area Cable Glands – for explosive atmosphere applications compliance and adherence to national or international standard codes of practice must be ensured (ATEX, IECEx, INMETRO, CSA, EAC). ➡ View our complete range of Cable Glands.